At the invitation of teacher Kristie Moseley, Trish Joy and Cathy Bow from the Living Archive project visited Nemarluk School in Stuart Park. 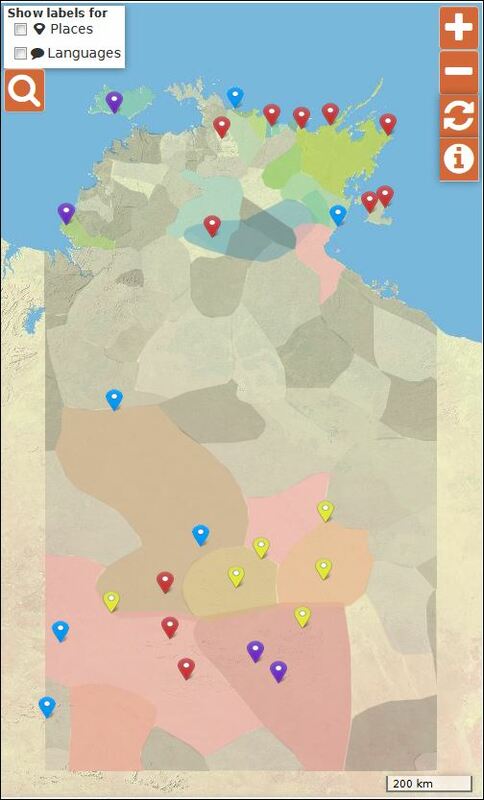 Nemarluk School is a Northern Territory Department of Education and Children’s Services school for children who require specialised and individualised educational programs. Kristie’s class has a number of Indigenous students and she tries to incorporate Indigenous stories and knowledge into her classes as much as possible. 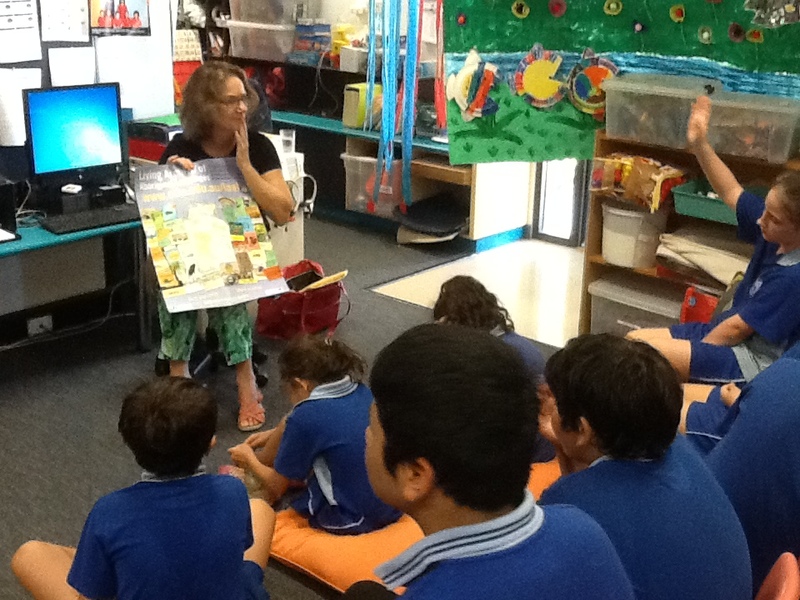 We told the students about the many different languages of the Northern Territory and how even though write with the same letters as English, the words are hard to read if you don’t know how to speak the language. 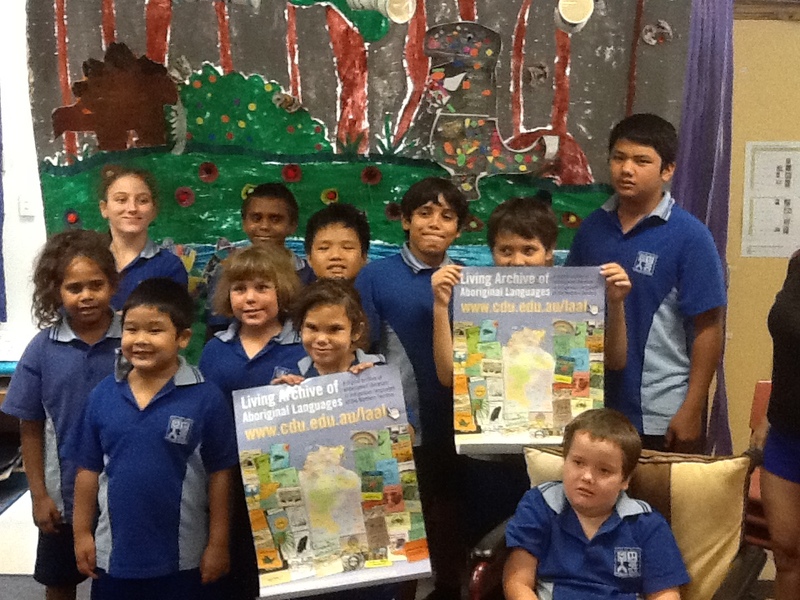 We showed them some Anindilyakwa words, which are really long, and we showed them where Anindilyakwa is spoken on Groote Eylandt on the Living Archive poster map. 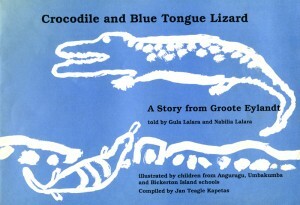 Trish then read a story from Groote Eylandt about the Crocodile and Blue Tongue Lizard, which talks about how the animals made their homes but then got into an argument and now they have different habitats. The story was told by a great old storyteller who has since passed away, and the pictures were drawn by children in schools at Angurugu, Umbakumba and Bickerton Islands. Then the children chose animals and made their own pictures about where the animals live and what they eat, then they shared some of the traditional Aboriginal stories they’d done in class previously. We looked at some more books on the Living Archive website, showing how they can find books by language or place, and they can download and print the books to look at in class, or their families can look at them on their phones or computers. We showed them where to find the English translation if there is one (usually at the end of the story), and talked about how difficult it can be to translate from one language to another. The kids were able to understand some of the Kriol story we read to them, and they repeated some of the words we heard from a Dhuwaya story. Thanks to Kristie, Rina, Amanda and all the lovely kids at Nemarluk for welcoming us, and we look forward to hearing more stories about how you’ve used materials from the Living Archive in your classes. This entry was posted in Activities and tagged school, testimonial on November 11, 2015 by Cathy Bow.